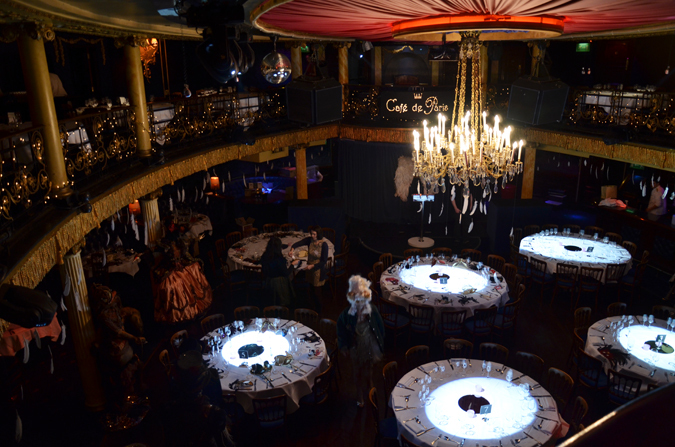 As manager of Prangsta Entertainment I directed experiential set design, costumes, props and entertainment for Hodder & Stoughton’s production of the biannual book launch at Café de Paris. 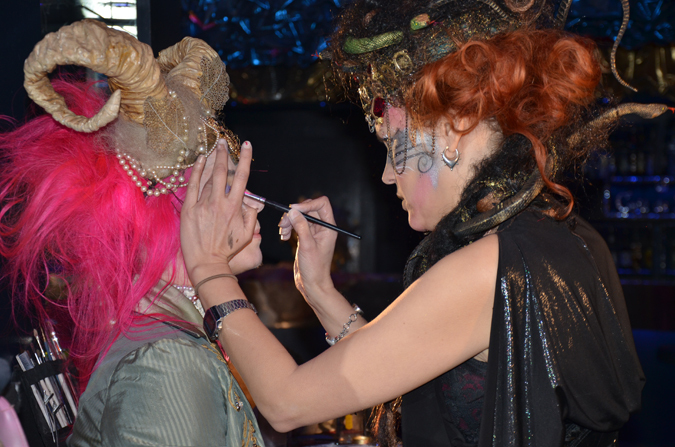 The commission was to recreate their best selling author Laini Taylor’s book ‘A Daughter of Smoke and Bone’, bringing the immersive mythical experience to life for invited booksellers from across the UK. 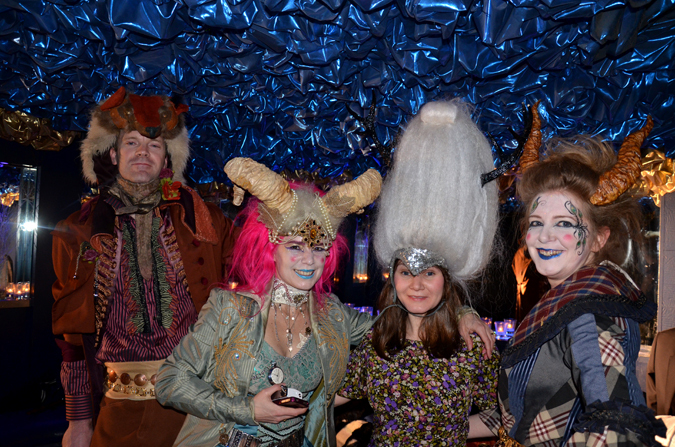 The decadent surrounds of the opulent London nightclub became a mythical theatre, strung with teeth and seraph wings, characters such a Brimstone and Karou were brought to life as as patrons enjoyed a sit down meal, and presentations of new titles from Hodder & Stoughton’s directors dressed as chimerical characters from the book. 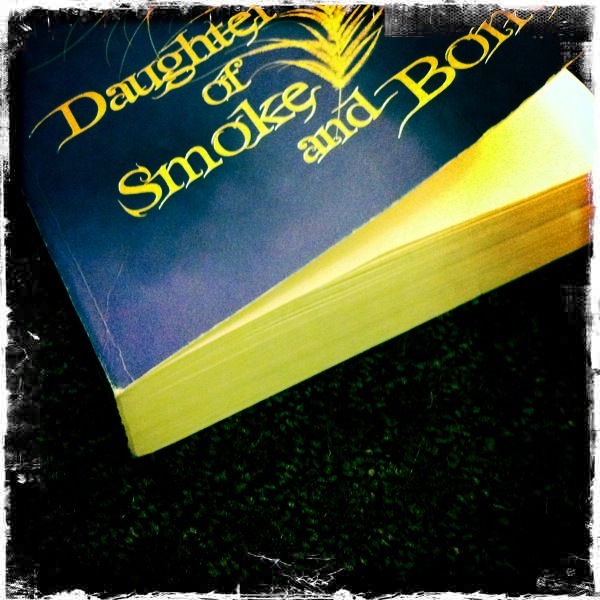 I spent 2 months researching the characters from Daughter of Smoke & Bone, preparing costumes, and the brief for Prangsta Design Studio to create the set design including Brimstone’s workshop, teeth and trinkets between worlds to ensure accuracy. The first of a trilogy which is followed by Those Are the Days of Blood and Starlight, and Dreams of Gods and Monsters, written by fantasy author Laini Taylor. It was published in September 2011 by Hachette Book Group, an imprint of Little, Brown and Company, through Hodder and Stoughton in the UK. Hodder & Stoughton arranged a sit down gala dinner for 250 guests, head buyers from book stores across the UK and press. 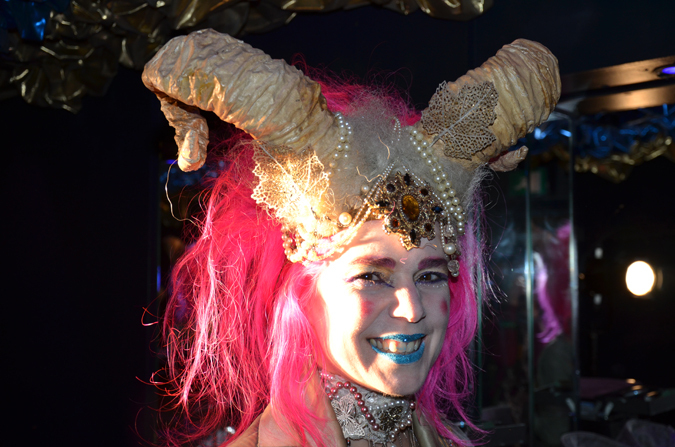 Prangsta Entertainment provided costumes for performance artists, and a styling boudoir recreating Eretz, and chimaera-seraphim in immersive worlds. The goal of the event was not only to welcome Laini Taylor and celebrate her first visit to the UK, but showcase the profitability of her first novel with a memorable event enabling the head buyers from bookstores across the UK to become familiar with her conceptual world where chimera who live between worlds demand teeth from Karou the protagonist, in exchange for wishes, creating a dynamic talking point and entrance for the trilogy.